For the past 18 months Healthsite has offered it’s automated digital patient registration product. 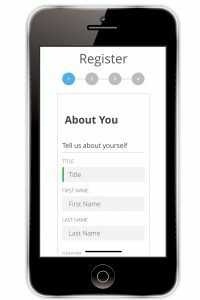 The digital form allows patients to register themselves as a new patient at the clinic, and once completed the new profile is automatically synced into your database with all fields placed into their spot! We have helped countless customers all but remove their old clipboard and pen registration forms. Over this time we’ve been able to take clinic feedback and refine the product. Transposition errors & reading messy handwriting are a thing of the past. Removing this task from your front desk that normally manually enter this information is a real timesaver. This product will revolutionise the new patient registration handling. You can add the form to your website and direct new patients to fill it in. We can add the link to your patients confirmation email if they book using our online booking portal, or you can have it as an App on an iPad that is handed to your new patients when they present for their appointment. Save Time, Improve Data Quality & give your patients a better experience. For more information click here. We’re offering all new customers a 3 month free trial of the system so you can try it out for yourself! Contact Healthsite on (03) 9592 8986 or email sales@healthsite.com.au.